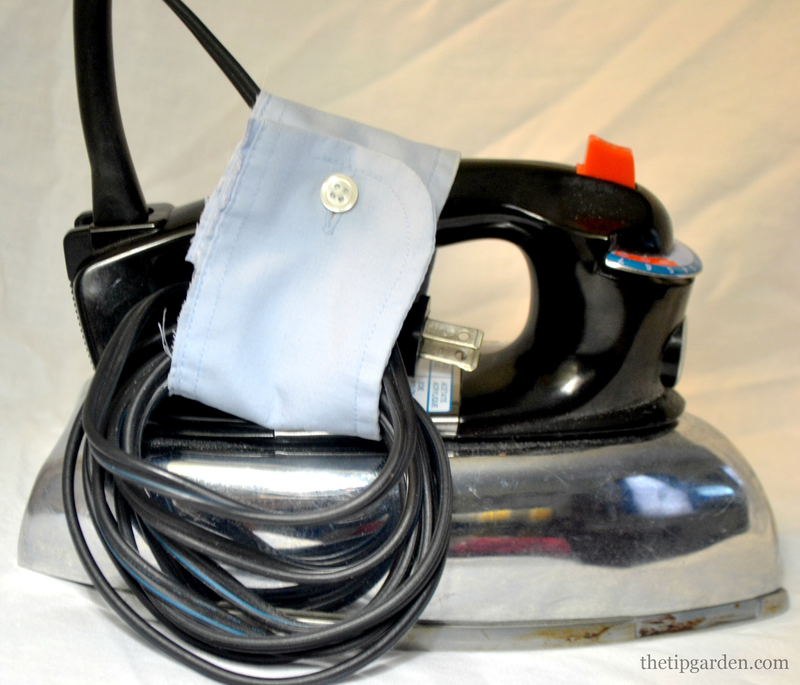 Today I have a simple and thrifty cord organizer for your small appliances. Cords to appliances hanging off of shelves can be dangerous if little ones pull on them, and just create a cluttered mess if they end up draped all over the shelf . The next time you are throwing out a dress shirt that can not be donated due to stains or rips, cut off the cuffs of the sleeve. Use them to secure your cords to your appliances after they are not in use! I know... so simple. Who doesn't love a free idea?